Our Petite Dancer Program is designed to bridge the gap between the young children’s program and the graded classical ballet program. 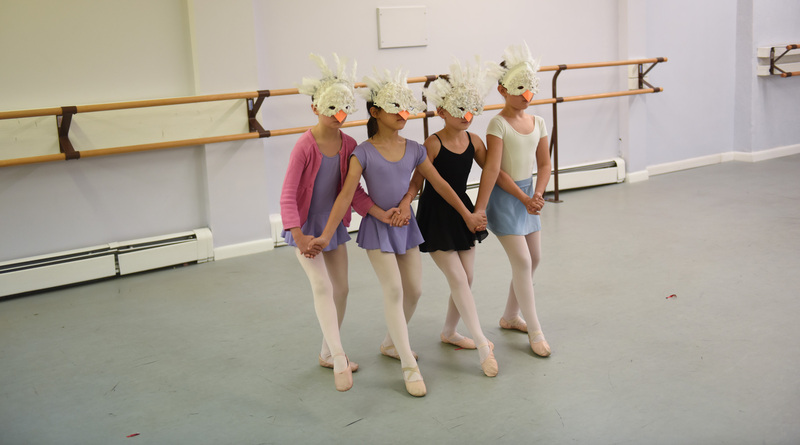 Combining ballet technique with creativity, this is a perfect program for young dancers transitioning into our classical ballet program. Students new to ECB and those in Level D will enjoy a morning of ballet technique, dances and creative crafts inspired by famous classical ballets such as Cinderella, Swan Lake & Sleeping Beauty. 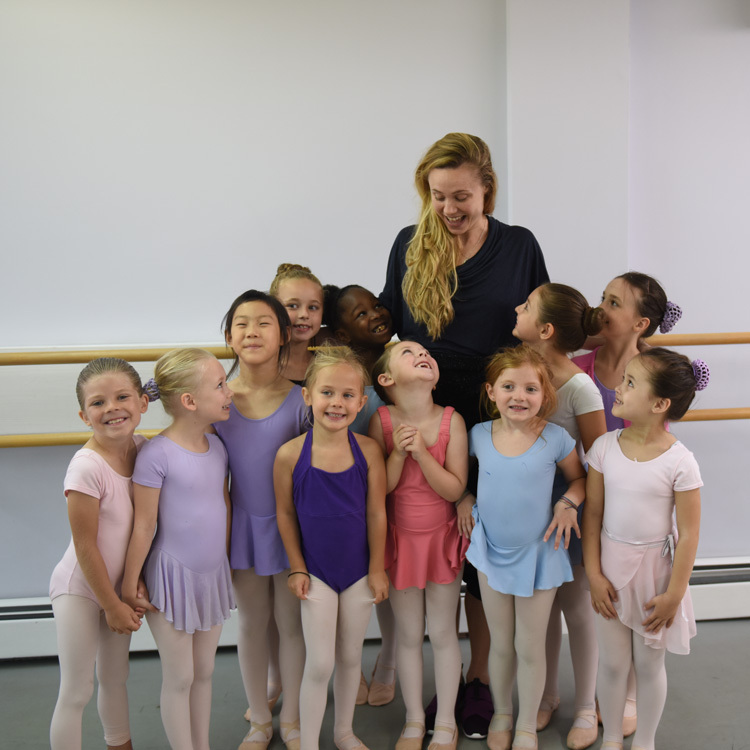 In 2017, our Petite Dancers were honored to meet and perform for Sara Mearns, New York City Ballet Principal Dancer, well-known for her impressive performances as Odette/Odile in Swan Lake (see photo). Our Petite Dancers will also participate in a daily energetic Jazz class, keeping in line with our themes. Students also love craft time, creating unique props and art work that tie in to their dance pieces. At the end of the week, families are invited to join us for a short in-studio presentation by the Petite Dancers. Bring your camera as students demonstrate all they have learned and created in this week-long program. Please call or email us for guidance on placement or general questions. We are happy to arrange a tour of our school and facilities.